Invitational season is well underway, and the big marks are starting to come out of pre-season refinement. Kenneth Wei (Mt. Sinai) was a known entity prior to the season, but had been skirting big marks and State Leads all year. That one big jump came to fruition on Saturday, when he launched to a new National Leader in the Long Jump, with a 24-0 performance. The distance was just enough to break the pre-existing Section 11 Indoor Record, set by Jim Naisby (East Islip) when he reached 23-10.25 back in 1985. The mark is now the 15th best ever performance Indoors. 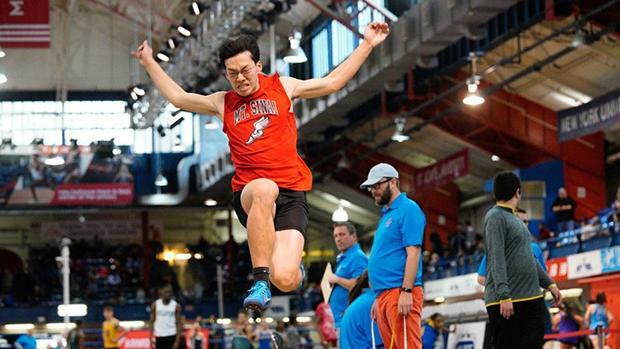 Wei finished 9th in the State Rankings last year, trailing the State's Top Returner in Jeremiah Willis (CNS), who hit 24-5.5 to win Silver at Indoor Nationals. In 2019, Wei leads the state by nearly a foot. Wei also managed to take home NY #2 in the 55HH, also good for US #9. Inches are hard to come by when you are already at the top of your class. 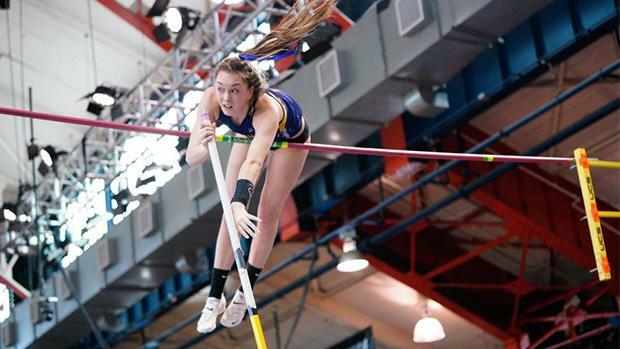 Kaeli Thompson (Warwick) took home third at States last Indoor, and moved up to Second Outdoors. But it was at Indoor Nationals of that year where Thompson put up a big mark, placing 5th with a 13-2.25. Now a Senior, and Thompson has improved that with her 13-3.5 clearance from Saturday, good for US #1. That mark bumps up her own Section 9 Record, and re-establishes her as NY #5 All-Time in the event. Thompson has committed to Vaulting at Duke University next year, and currently trains with the Hudson Valley Flying Circus Vaulting Club.